I am living in the lap of luxury with my new products from Capricorn Soap Company. These handcrafted, all-natural products are heavenly both to use and to just inhale the divine scent! The products I tried suited my tastes to a tee! The owner, Christina, is actually one of my readers so she knows me well and knew that I would love her products. She was right- I do!! 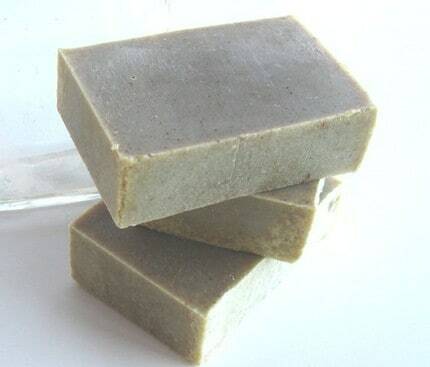 Capricorn Soap Company uses only all-natural vegetable oils (like coconut and olive oil) in their handmade soaps. They are cruelty free and are NEVER tested on animals. All their products are made and cut by hand in their workshop in Southwest Virginia. You can count on getting a high quality, one-of-a-kind product. They offer soaps, lotions and shave cream, aromatherapy candles and other bath products. I think their men’s products would be a great gift for dad on Father’s Day! They sent me three of their products to try out: Rosemary Mint Bath Soap, Rosemary Mint Aromatherapy Candle and Rosemary Mint Luxury Bath Salts. The Rosemary Mint Bath Soap smells so refreshing. I just love the smell! It is made with rosemary, mint and ground apricot along with olive oil and shea butter. This fabulous combination makes for an invigorating bath experience. I loved how soft my skin felt and it smelled even better. John calls it the toothpaste soap because of the minty smell. He’s been using it too and thinks its great! Its not girly and can be used on both men and women. It is a good sized bar at 4.5 to 5 oz and it’s lasted us awhile. It costs $6.75. 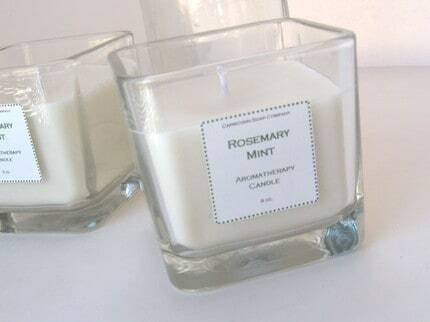 The Rosemary Mint Aromatherpy is an 8 oz. soy candle in a thick glass walled container. It is made with aromatherapy essential oil blends. I like that it burns evenly and is wonderful to have going when I was relaxing in the bath tub. It kept with the Rosemary Mint theme Â I have for my bathroom and it smells wonderful! This candle would make an excellent gift and Â costs $14.99. 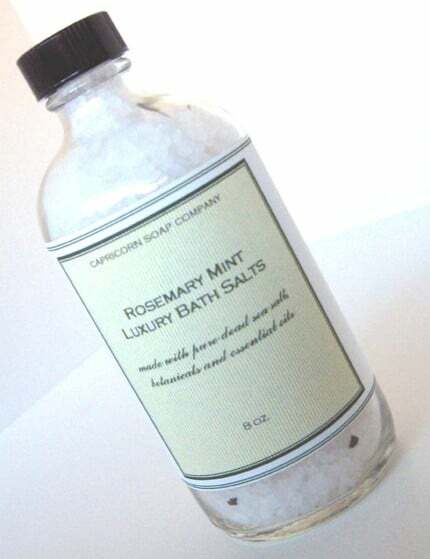 The Rosemary Mint Luxury Bath Salts is perfect after a long day. I love the minty scenty and it just wakes up my body and makes me feel much more refreshed. Its also good to use if you have any sinus congestion. Its made from pure, unrefined dead sea salt with dried botanicals and essential oils. You just need to pour a little bit into your bath water and it will fully dissolve. Ahhh bliss…love it! It costs $18 for an 8 oz. bottle. Visit Capricorn Soap Company to see all they have to offer! Capricorn Soap Company is giving away the Lemon Verbena Housewarming Gift Set. It includes Lemon Verbena steam distilled ironing water, a beeswax Lemon Verbena furniture polish, a dainty Lemon Verbena. Votive candle, and our aromatherapy spray mist in the same fragrance. The Bergamot Grapefruit Paraben Free Body Wash â€“ with Essential Oils looks fun! I’d like to try the Bergamot Grapefruit Paraben Free Body Wash – with Essential Oils. I’d like to try the Rosewood bath soaps. I’d like to try the Lemon Verbena Luxury Body Polish. I would love to try the Virginia Rose Dead Sea Salts for the Bath. Herbes de Provence Foot and Body Balm. I love the Rosemary Mint Moisturizing Body Lotion!